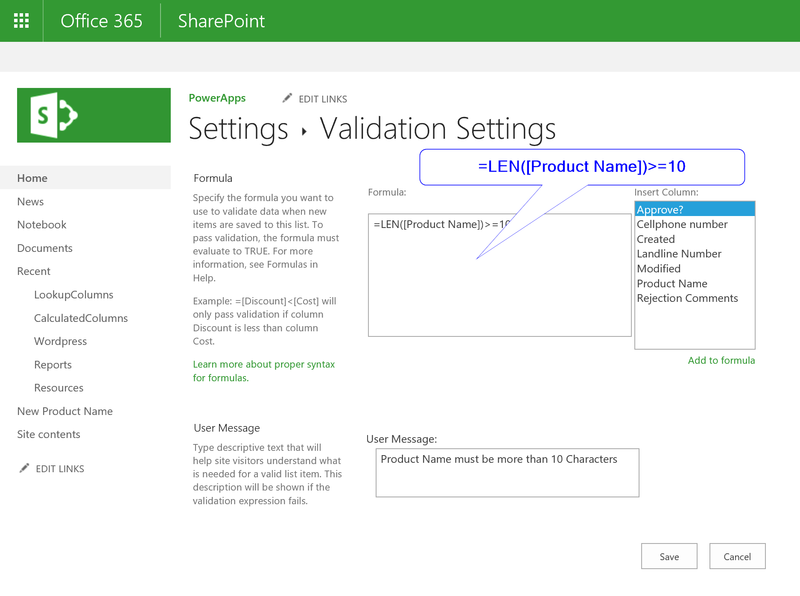 #Office365Challenge Still on list validations, today’s post will show you how to enforce the minimum length of a field. Here’s another easy one. As you know you can set the maximum number of characters on say a Title field. But what if you want to manage the minimum number of characters? For example a Product name must be more than 10 characters. How can you get it to ignore the validation if the field is left blank?